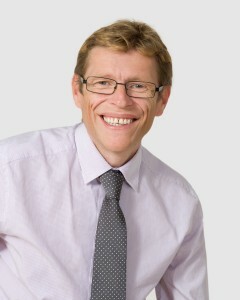 Smile Again With Dental Implants from your Redhill Dental Team in Stourbridge. A dental implant is a dental restoration that allows us to replace teeth that have been lost or irreparably damaged. The dental implant itself is a tooth root created using a special titanium alloy that can fuse directly to the bone the same way a natural tooth root can. Once a dental implant has been placed, it is restored with a beautiful porcelain crowns. A dental implant combined with a porcelain crown creates a perfect tooth replacement that looks and feels natural. Our dental implants are the very best option for patients who have lost a tooth. A restored dental implant functions and feels like a natural tooth. Patients who have had a dental implant placed can feel confident and enjoy all of the activities that they enjoyed before their tooth loss. Dental implants can enhance a smile by restoring or improving the smile’s aesthetic. Patients with dental implants no longer have to worry about showing a gap when they smile. Our dental implants are versatile. Besides restoring missing teeth, dental implants can provide crucial support for implant supported dentures and other restorations. Patients with dental implants look and feel younger. When you lose a tooth, the jawbone underneath the tooth can start to deteriorate. Without the support of a dental implant, patients may experience bone loss or other serious dental issues. Dental implants give the jawbone the support that it needs, and keep the bones underneath your teeth healthy and strong. At our practice, our implants are placed by an implant specialist right here in our office. Patients who require a dental implant can have their procedure performed at one convenient location. To find out more about our dental implants, call us at our office today.